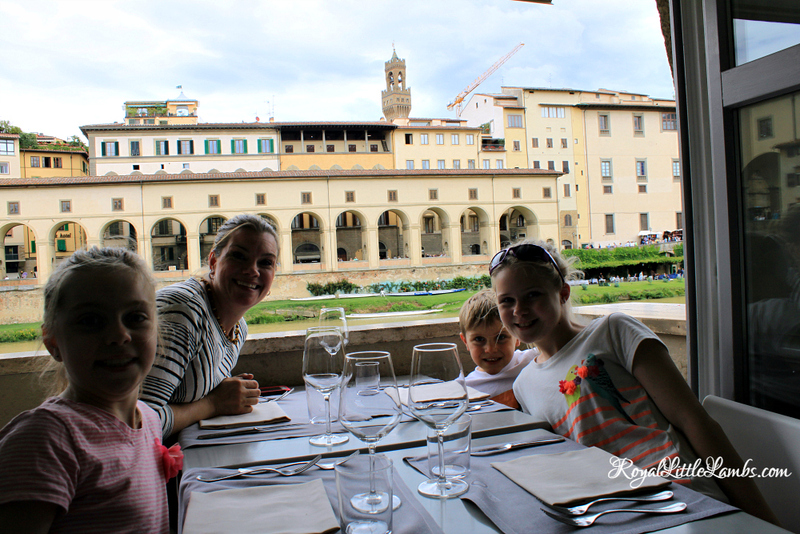 Florence, Italy, is one of our favorite places. They say you either love Rome or Florence. We only spent 4 days in June. It wasn’t near long enough. Nothing would ever be long enough to experience all of Florence. We flew from Frankfurt Hahn to Pisa, then took the train into Florence. There’s a little shuttle bus from the airport to the train station. 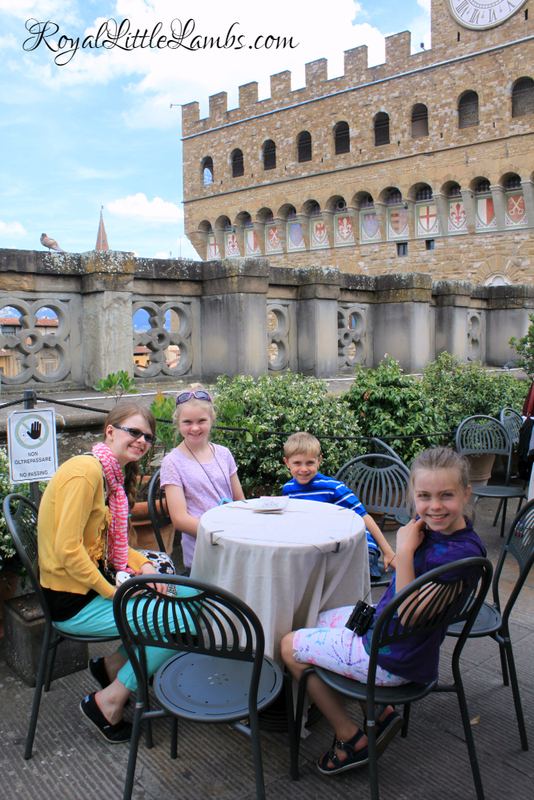 We bought Firenze Cards to save time and money on all the museums. We took a city bus to our apartment. It’s probably our least favorite booking we’ve ever stayed in. Then, we waited outside the door of the building for about an hour for the agent to arrive and let us in. Then, we headed to dinner around the corner. 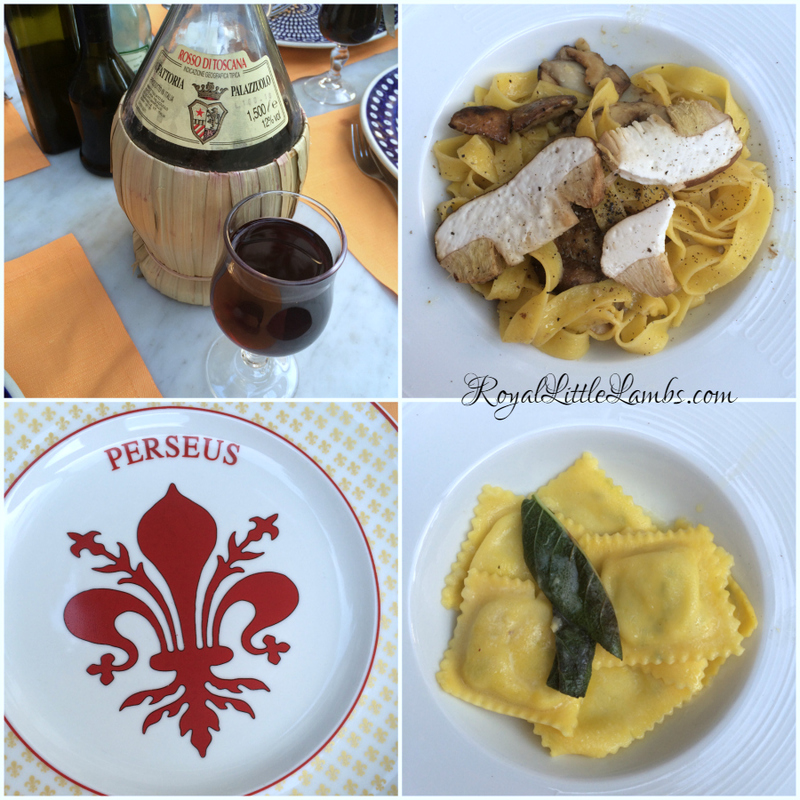 We ate dinner at Perseus Restaurant. There was enough for our entire family to share. I got the porcini mushroom pasta. Divine. Tori got some lovely ravioli. The table wine was great and we had a few glasses. They estimate and charge accordingly. Our precious waiter took amazing care of us. He brought us bread and fagioli all’uccelletto, or cannellini beans made in the manner of little birds. According to Florentine gastronome Giuliano Bugialli, the curious name of this dish comes from the manner in which little songbirds were traditionally cooked. He absolutely adored Alex and pet him every chance he got. 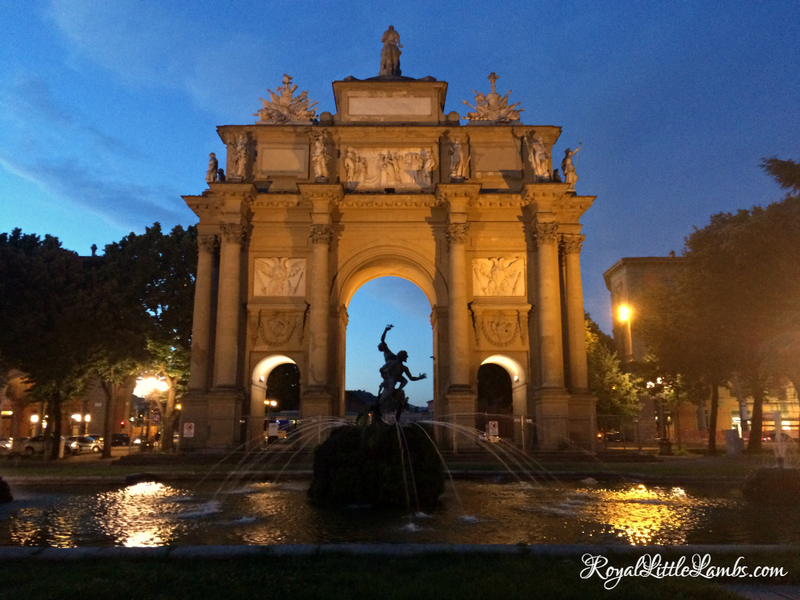 We walked across the street to explore the Piazza della Libertà. 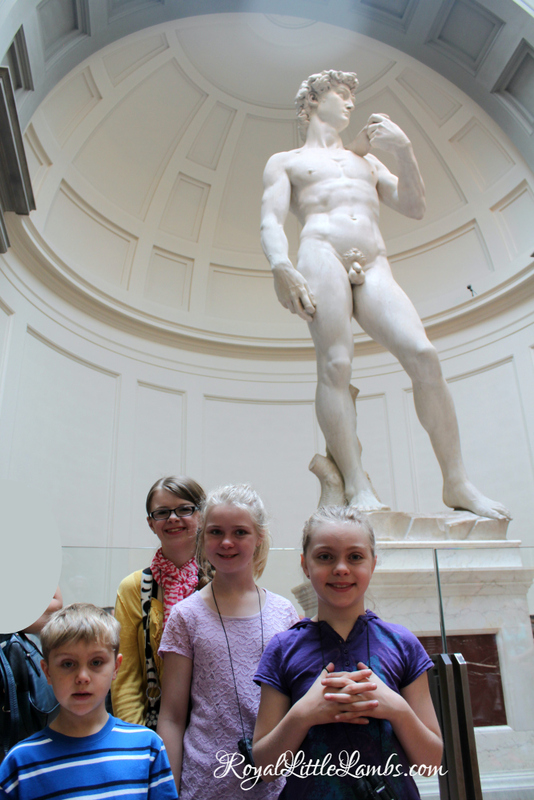 We went to the Galleria dell’Accademia to see The David. Also, Michelangelo’s Slaves line the hallway leading to the David. 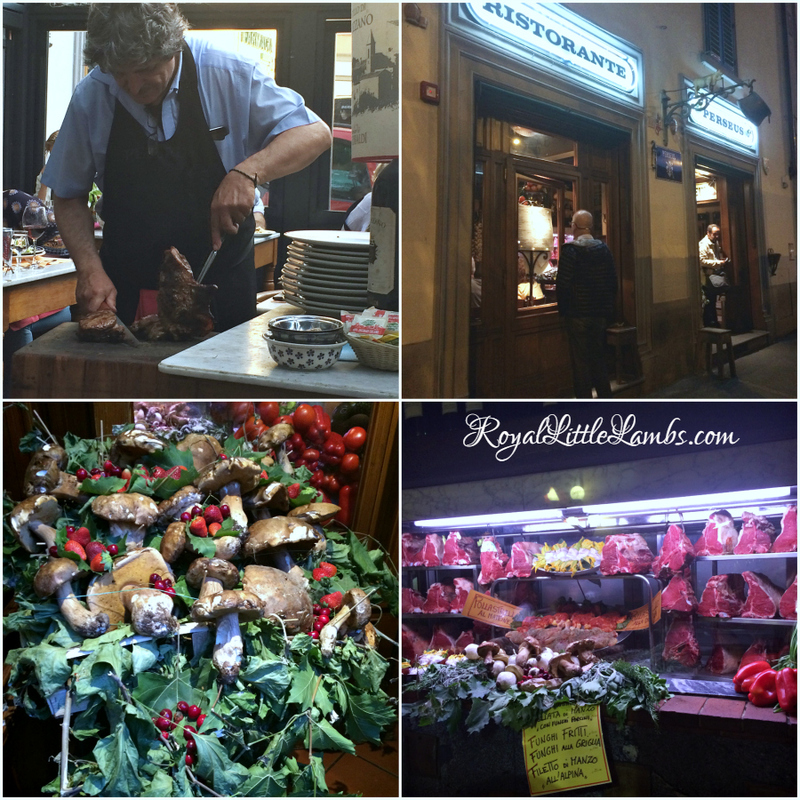 We walked down Via dei Calzaiuoli from the Piazza del Duomo all the way to the River Arno. We passed the Orsanmichele church, but didn’t go inside. 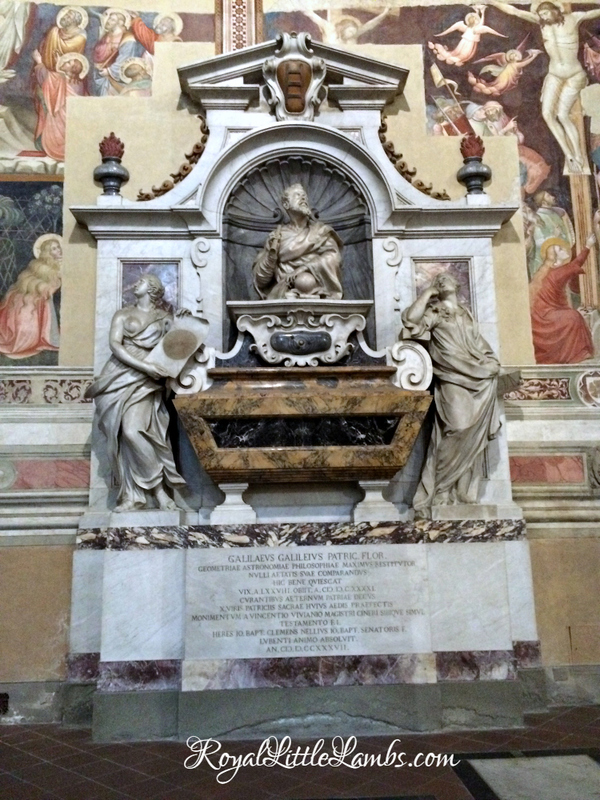 Niches hold statues of the saints from Donatello. 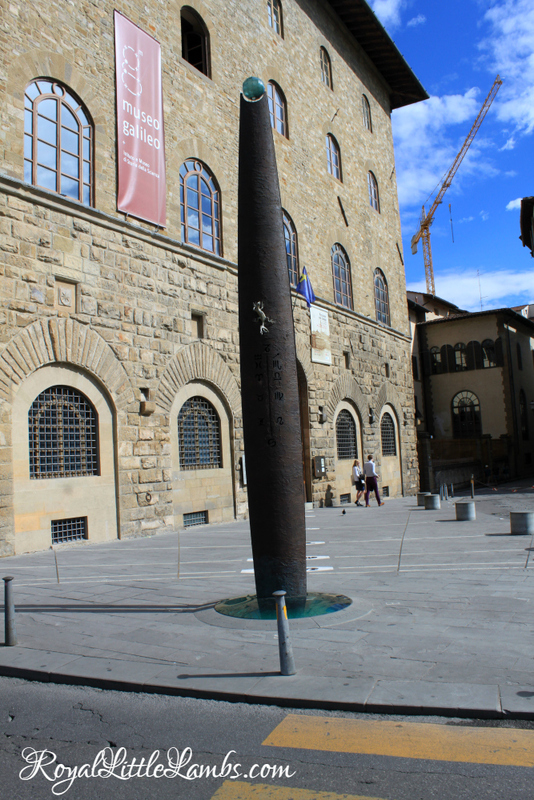 We strolled through the Piazza della Signoria. 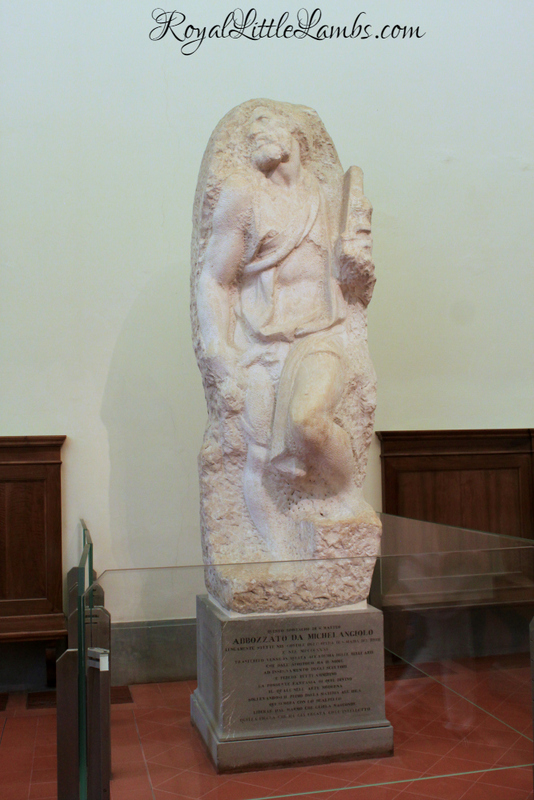 There are lots of statues – modern, replicas of ancient, and some actual originals. 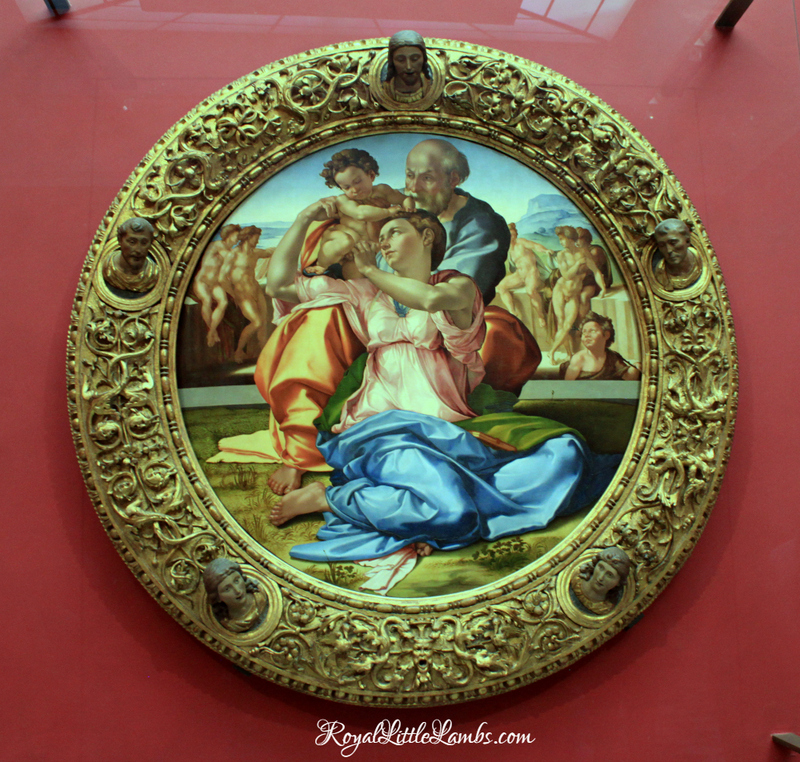 We went to the Uffizi Museum. I don’t recommend doing both museums in one day. Whew! There’s a darling little rooftop cafe. We got some drinks to rest a bit. Around the corner was the Dante House and museum. 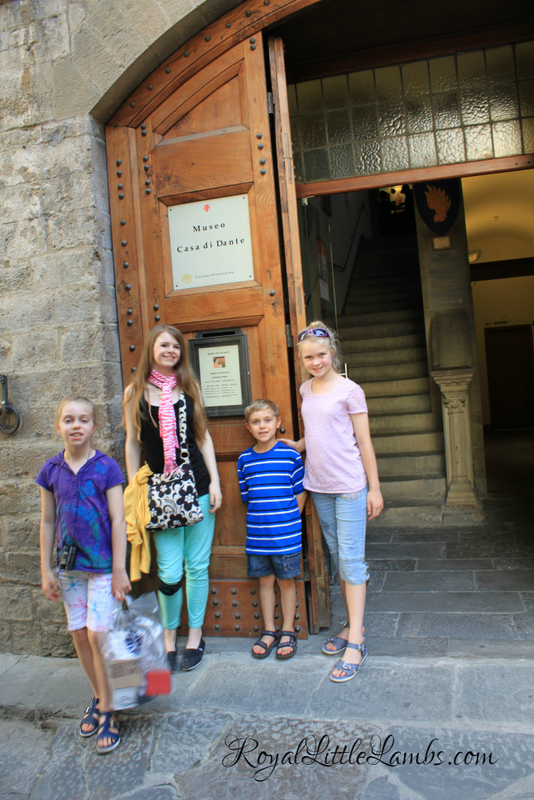 We learned a lot about Florentine politics and Dante’s life. There were lovely illuminated copies of The Divine Comedy . We spent the morning in the Piazza del Duomo. First stop was the Museo dell’Opera del Duomo. 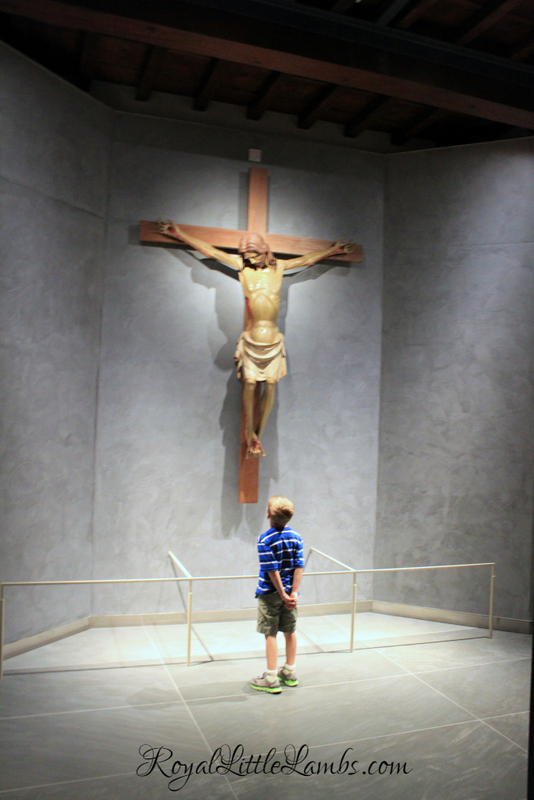 Alex was enthralled by this crucifix and just stood there for the longest time, gazing up at it. 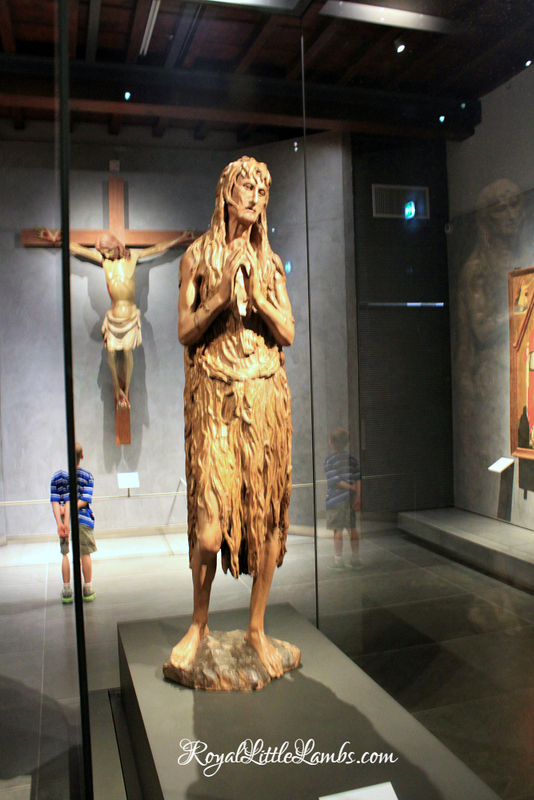 The Penitent Magdalene is a wooden sculpture of Mary Magdalene by Donatello, created around 1453-1455. 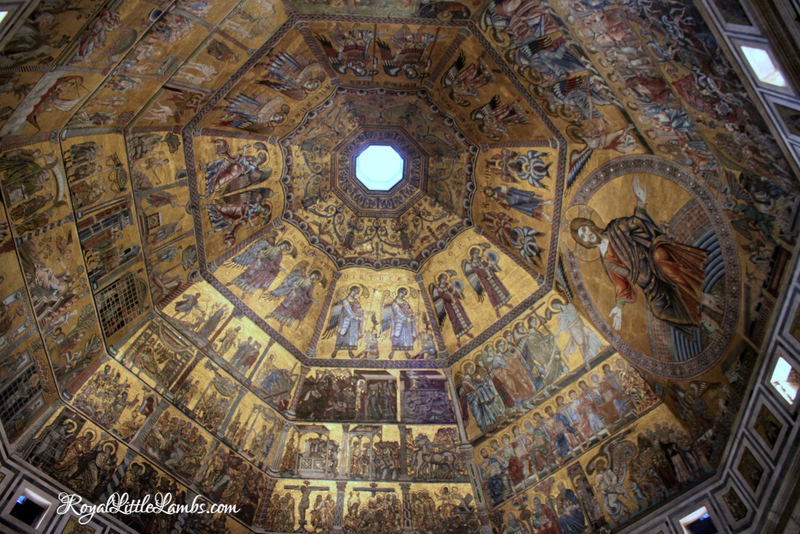 The sculpture was probably commissioned for the Baptistery of Florence. 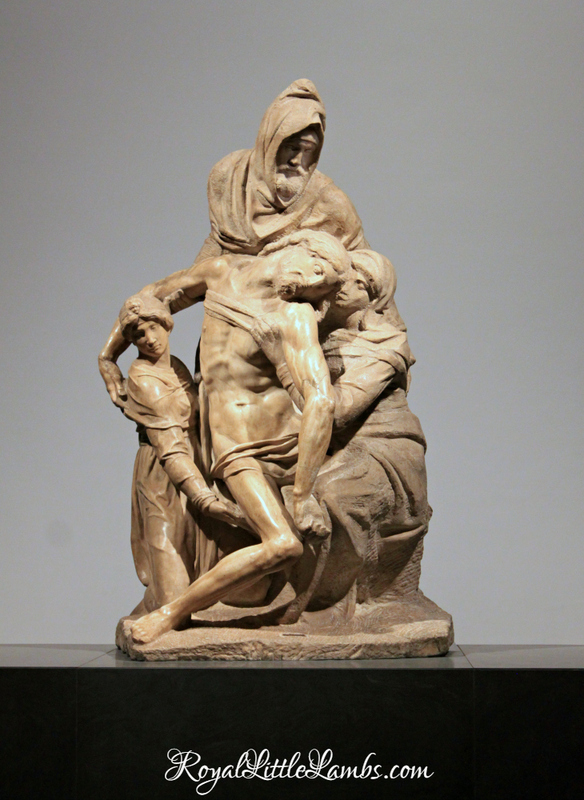 The Deposition by Michelangelo, completed between 1547 and 1555, depicts four figures: the dead body of Jesus Christ, newly taken down from the Cross, Nicodemus (or possibly Joseph of Arimathea), Mary Magdalene, and the Virgin Mary. 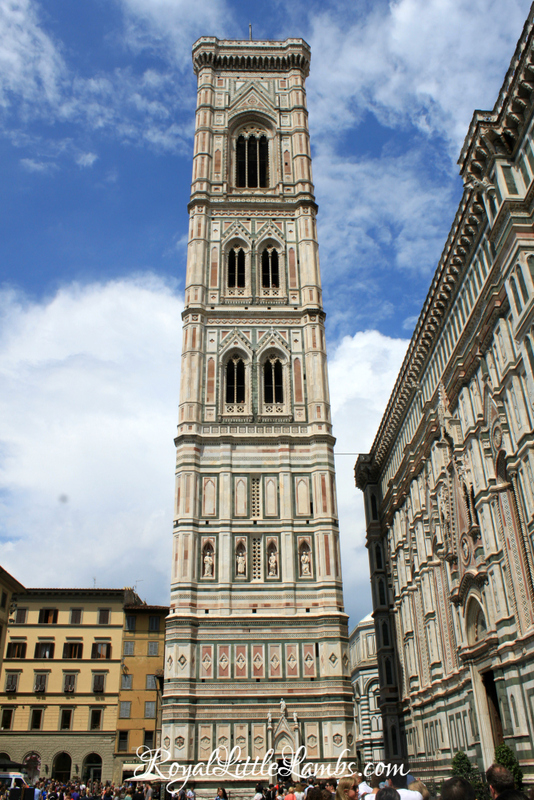 Giotto’s Campanile or Bell Tower stands beside the Duomo. The line was super long to walk up, so we skipped that. We also didn’t wait in the line to go up into the Duomo. The actual church is rather bare, except for the lovely ceiling. 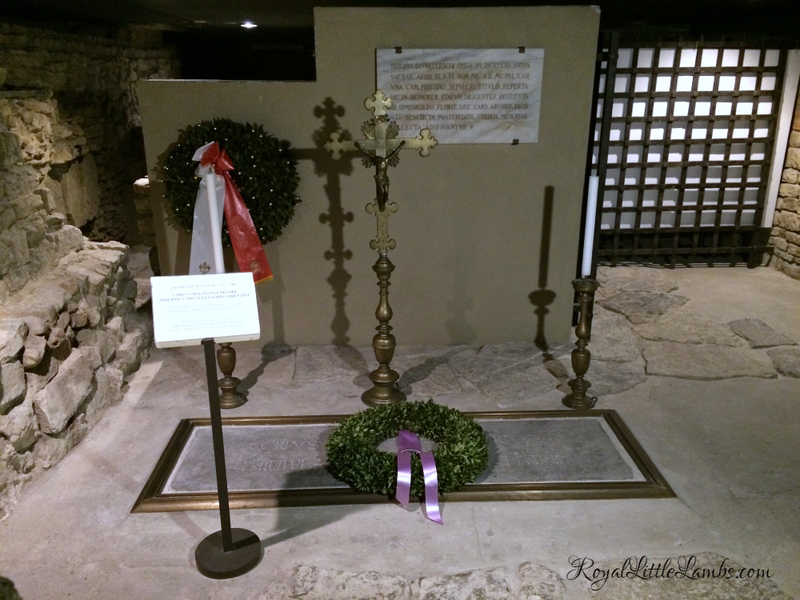 Architect Filippo Brunelleschi is entombed in the Duomo crypt, near the bookstore. 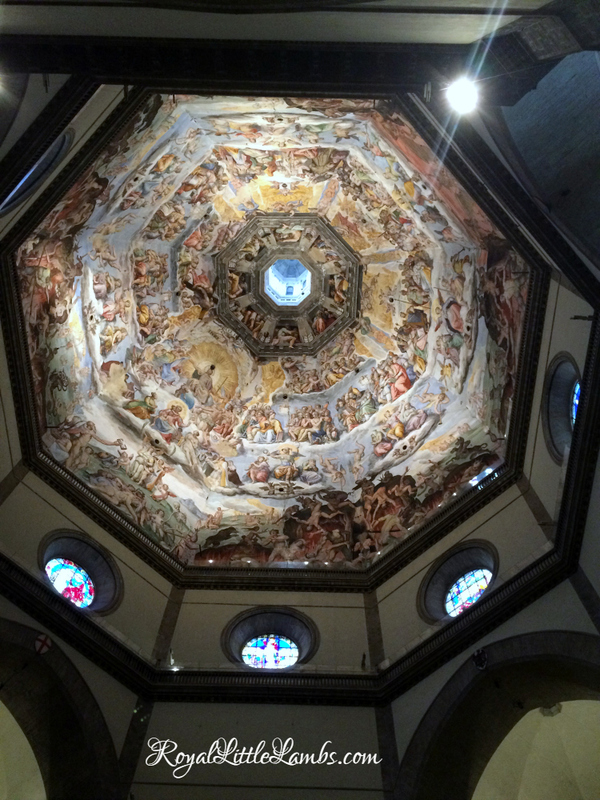 The Baptistery has a lovely ceiling also. 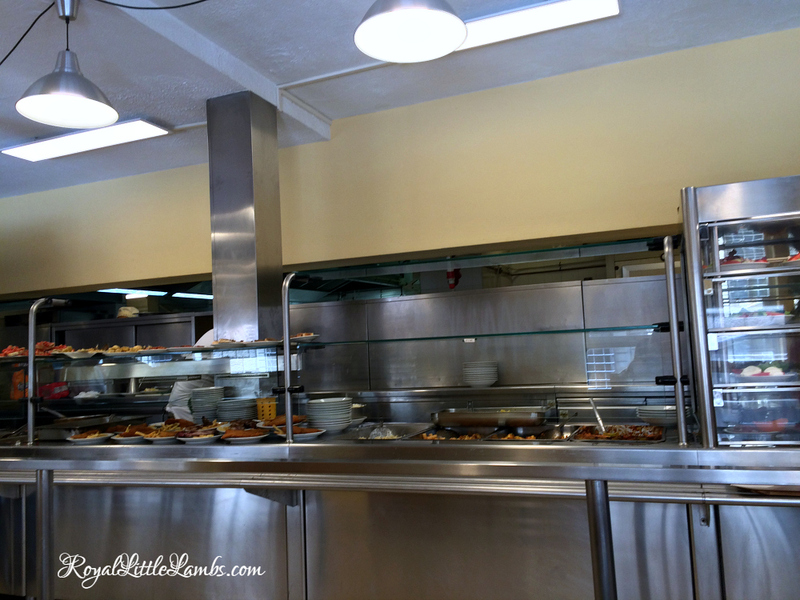 We had a fun cafeteria lunch at Leonardo right off the square. 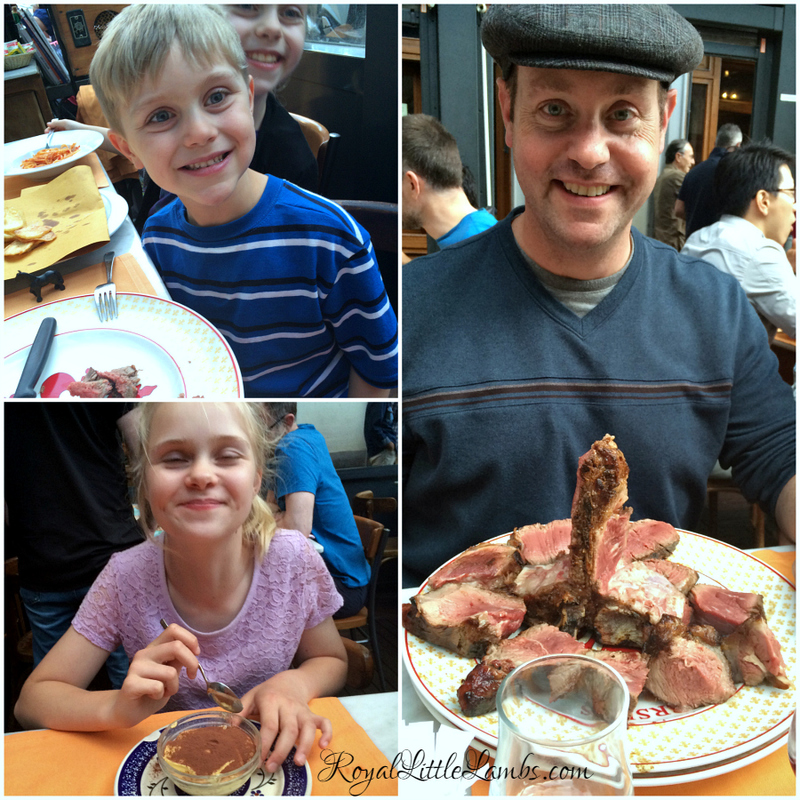 The kids had fun choosing what they wanted. 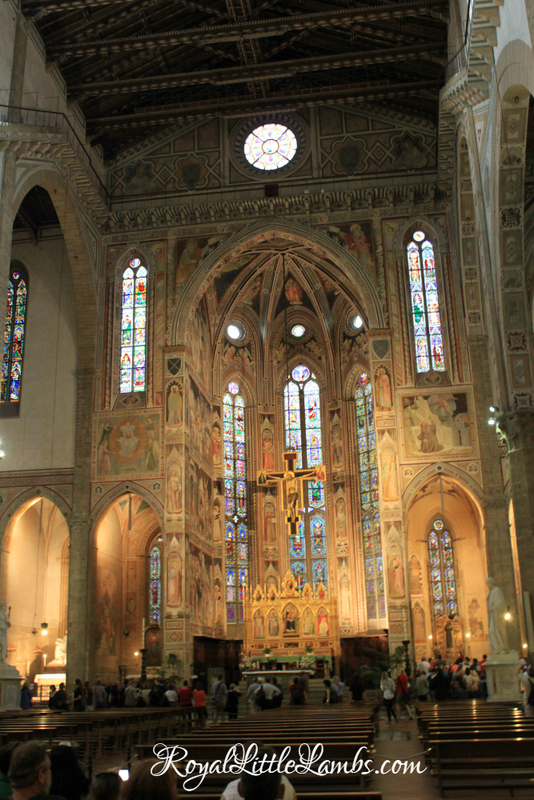 We toured Santa Croce Basilica in the afternoon. It was raining and made for a fun walk from the Duomo. Michelangelo, who died in Rome in 1564, was buried here beneath a monument with allegorical figures of Sculpture, Architecture and Painting, designed by Giorgio Vasari. 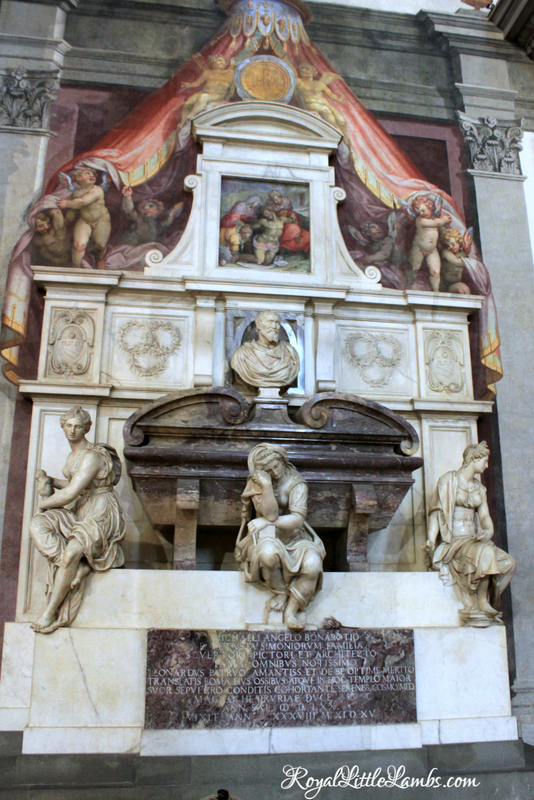 Michelangelo’s tomb served as the model for others, such as the tomb of Galileo, who died in 1642 (his monument was made by Giovanni Battista Foggini). Funerary monuments continued to be added to the interior, including ones to Niccolò Machiavelli, Vittorio Alfieri, Gioachino Rossini and the cenotaph to Dante Alighieri (1829). The chapels are amazingly gorgeous. 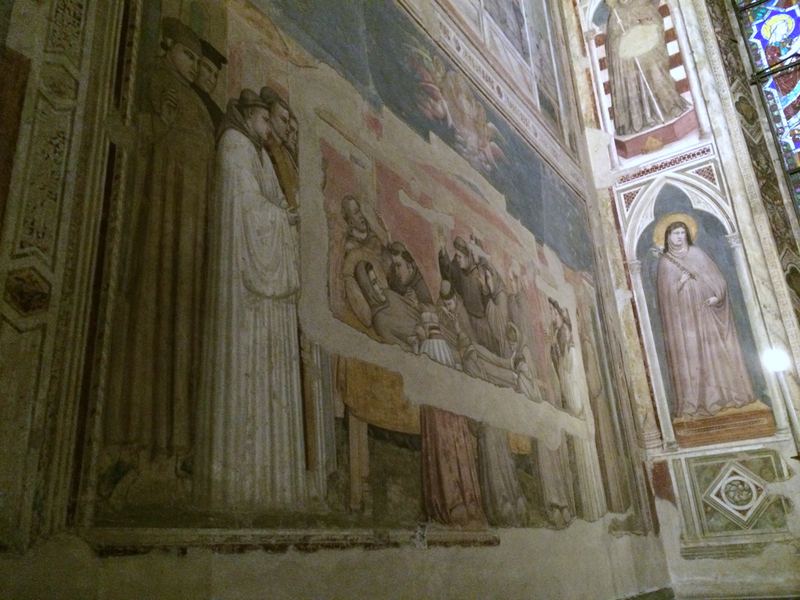 The great Giotto frescoed the chapels of the banking families Bardi and Peruzzi (1320-25), respectively, with scenes from the life of St. Francis and from the lives of St. John the Baptist and St. John the Evangelist. 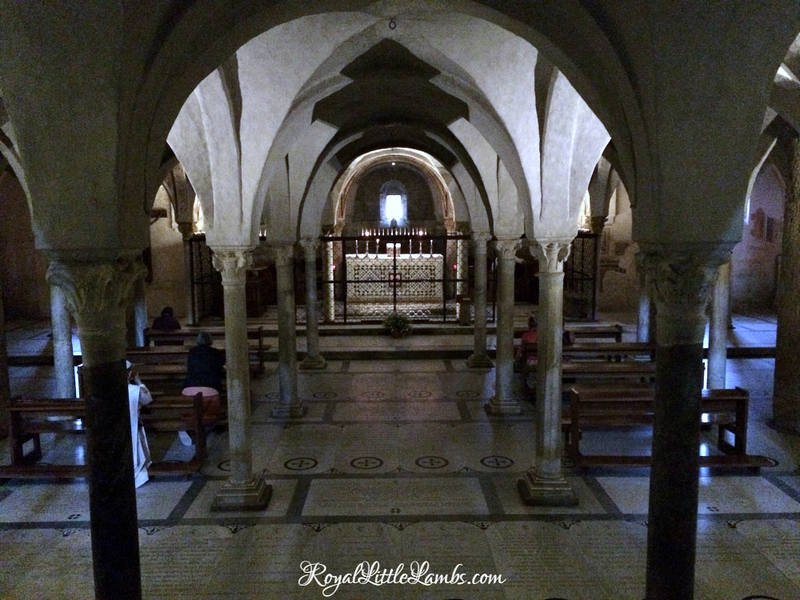 Don’t miss the leather school in the back of the church and tour all the beautiful chapels! Michelangelo’s house is now a museum. Casa Buonarroti is just around the corner! 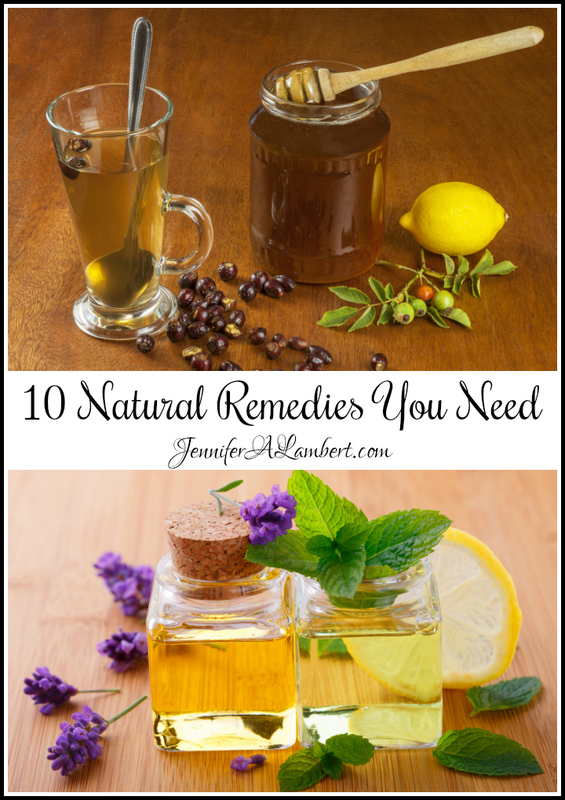 We weren’t able to make it and it was pouring rain. We went to the Galileo Museum. We arrived just as they opened. 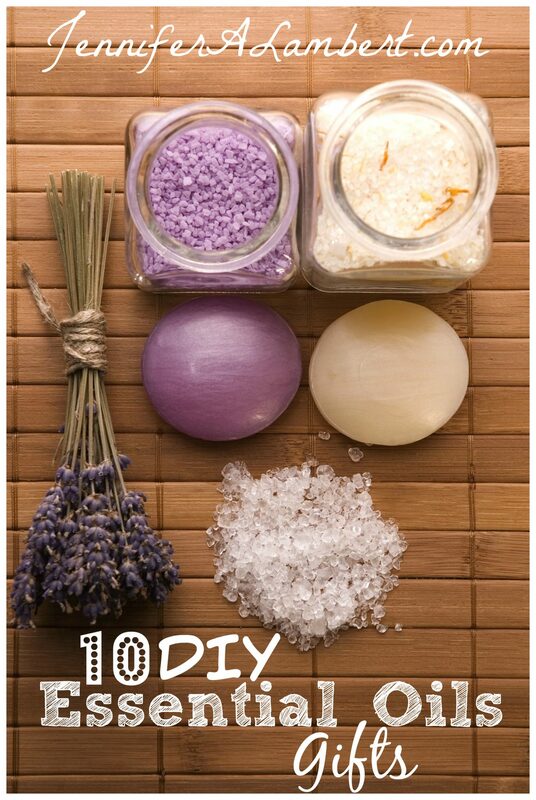 Super fun for kids and adults! There’s a neato sundial right outside the museum. 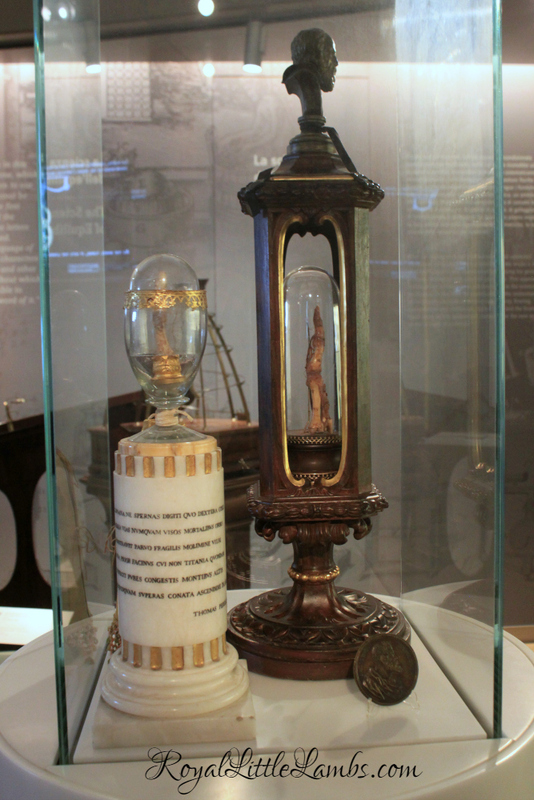 There are two of Galileo’s fingers, removed from his corpse by admirers in the 18th century, on display! They took the most sacred parts of Galileo’s body—the fingers the scientist used to hold his pen and adjust his telescope—as holy relics, and stored them in a glass container. We walked around the Oltr’arno. 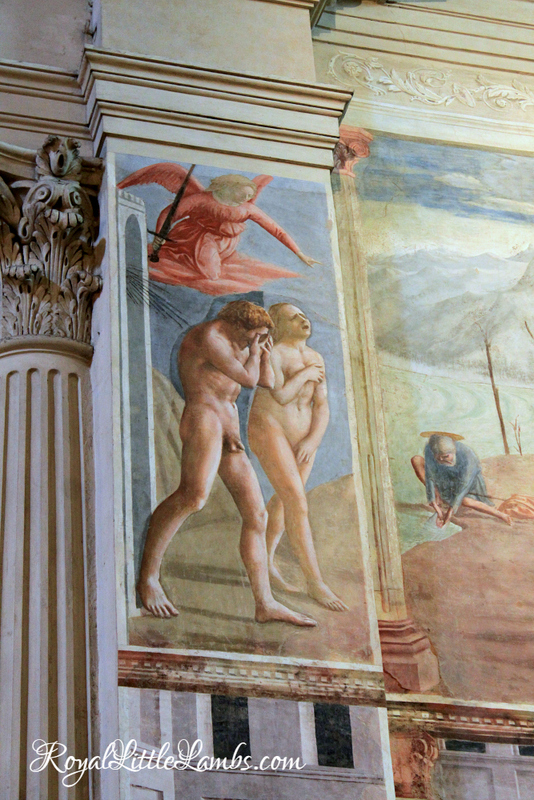 I was so excited to see this masterwork of Masaccio, Expulsion of Adam and Eve from Paradise. We ate a lovely lunch riverside at Golden View. 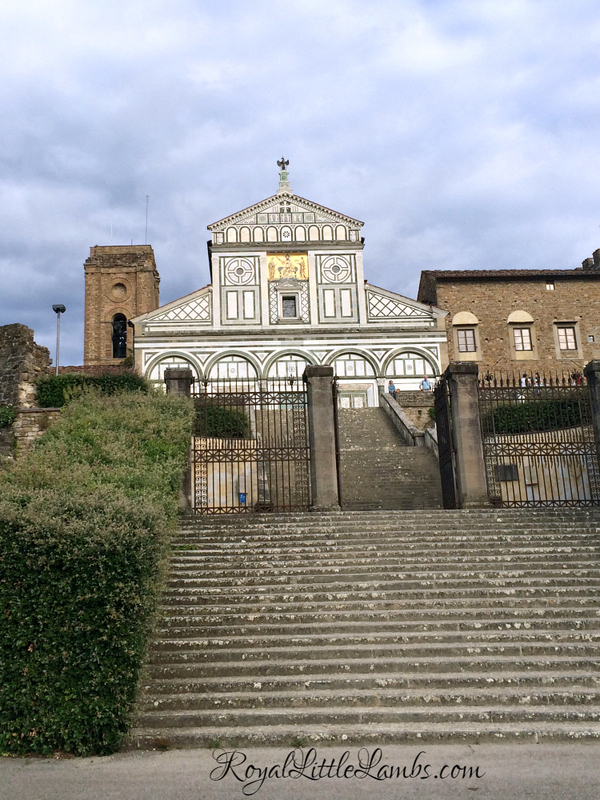 We took the city bus to San Miniato. The evensong service in the crypt is not to be missed. It was breathtaking. 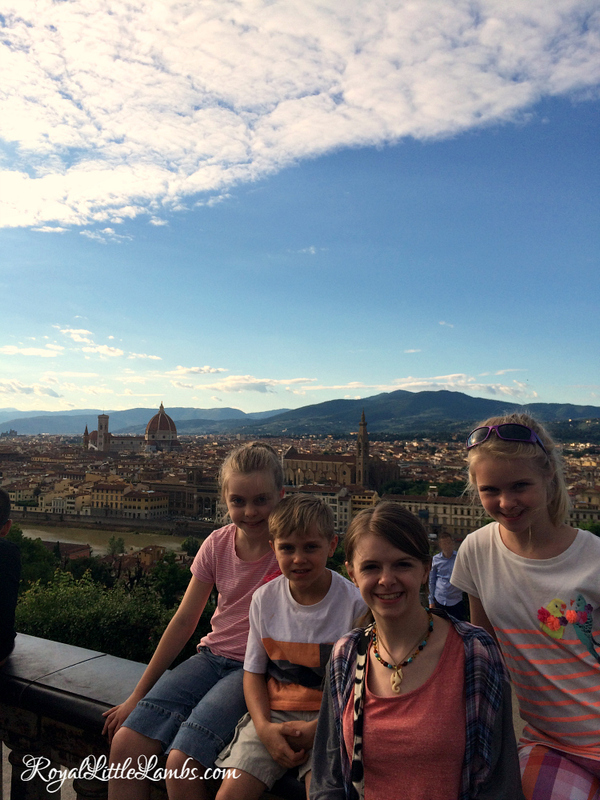 Our grand finale was viewing Florence from Piazzale Michelangelo. Florence is definitely a city we’d love to return to and explore even more. That looks like a lovely trip! I’ve always wanted to visit Italy and Florence is one of my “must see” stops if I ever get there. Thanks for sharing all the pictures so I could travel vicariously! Your photos and dialog are amazing. Your children are so bright and cute. 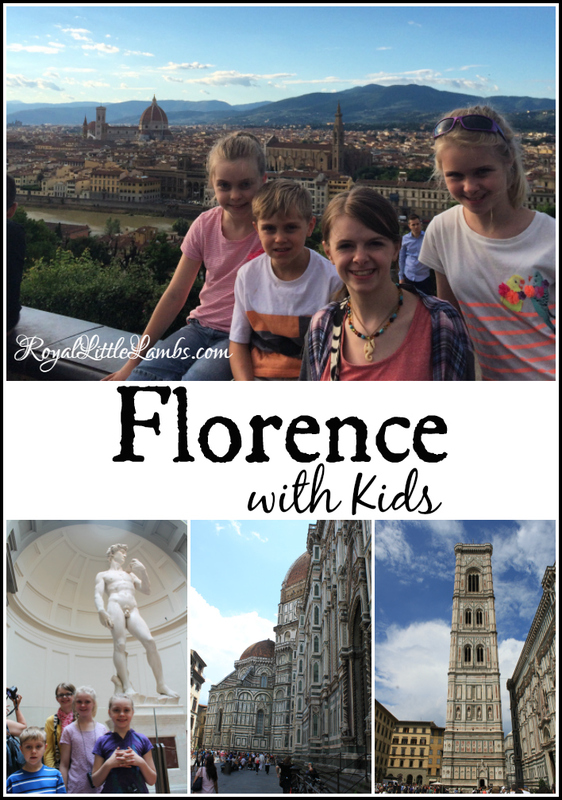 They are old enough to enjoy this wonderful visit to Florence. 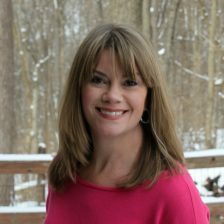 Thank you for sharing with us here at Tell me a Story. I love being able to travel without leaving my house. 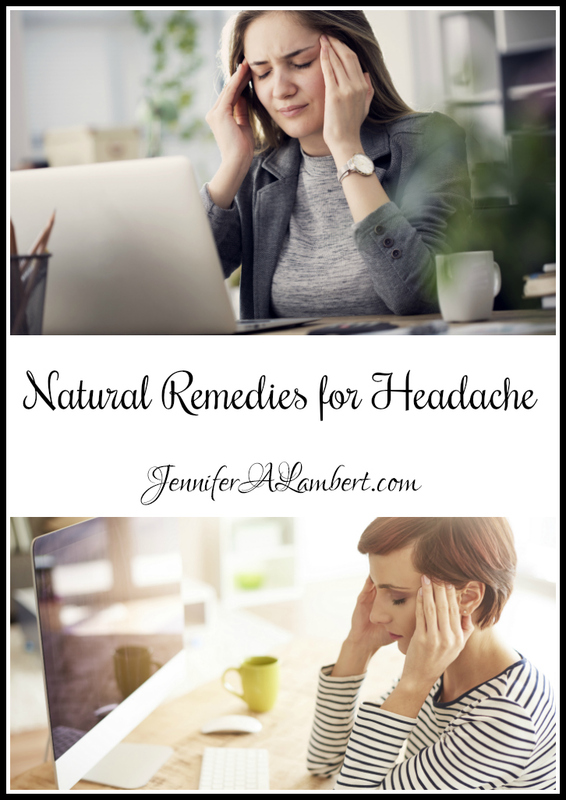 What a fun and educational trip, Jennifer. 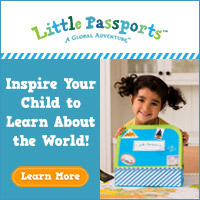 Thanks for sharing with Thankful Thursdays.